A pedestrian has died in a collision that involved two cars in Berkshire. 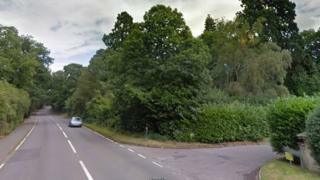 The 76-year-old man was fatally injured on Kings Ride near the junction with Prince Albert Drive, in Ascot, at about 23:30 BST on Saturday. He died at the scene, while the occupants of the vehicles, a Volkswagen Sharan and a Ford Focus, were uninjured, Thames Valley Police said. The force have urged witnesses who may have seen a man on the road around the time of the collision, to come forward.